This path shows two variations. With headwind, put your drive as close to the end of the first fairway as possible. From there, play a wood with plenty of distance, bouncing over the next patch of rough and leave yourself with a wedge for the eagle. If you get sidewind though, you can overpower your shot with max topspin and bounce over to the next fairway. The second shot will be either a wood or long iron. With sidewind or tailwind, you can bounce your drive over to the island on the left. The island is shaped like a bowl so it will keep the ball in play quite easily. For the second shot, you'll need a wood with a lot of distance to carry the rough and get to the green in two. 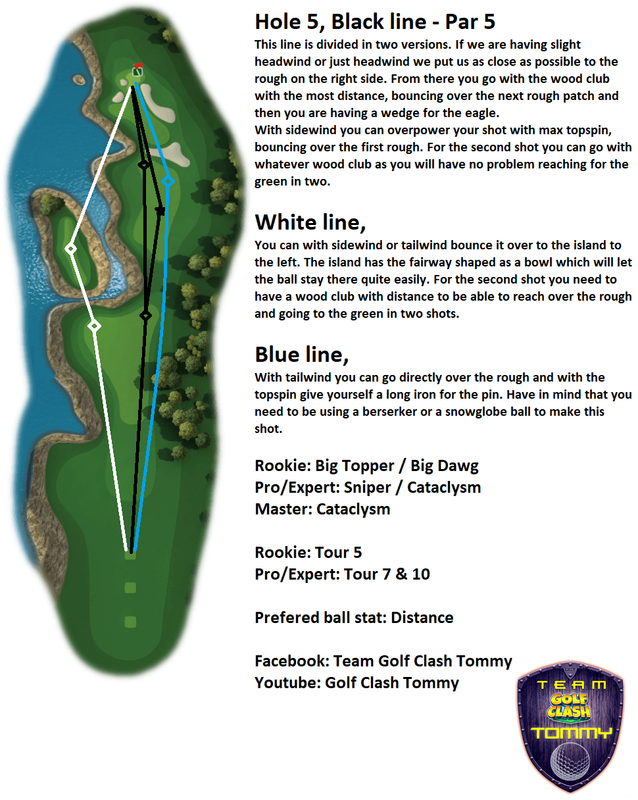 With tailwind you can go directly to the second fairway with topspin and leave yourself with a long iron to the green. You'll need to use a Berserker or Snow Globe to pull this shot off.